Most essential things or services which are required for social, economic, cultural, development, to raise the living standard of the people is termed as infrastructures. For example education, transportation, communication etc. Nature gifted things which is available in nature and used to carry out development activities is known as natural resources. Air, water, minerals etc are some of the examples of Natural Resources. Means and Resources are those things which are man-made (artificial) or natural and are utilized to perform development activities are known as means and resources. Capital, Skilled human resources come under artificial and air, water comes under natural means and resources. Those persons which are used to carry out development activities are known as manpower or labors. Doctor, Engineer are some examples of manpower. Manpower is classified into 3 groups. 1.Skilled Manpower: Those who can do their work efficiently. for example doctor, engineer, journalist etc. 3.Unskilled Manpower: Who are neither experienced nor trained. for example labors. It is the situation in which a person is unable to earn $1 per day. Such situation is known as the Poverty line. 1. Development of Infrastructures like health, education, transportation etc. 1. Development activities are carried out smoothly. Most essential things or services which are required for social, economic, cultural, development, to raise the living standard of the people is termed as infrastructures. Hospitals, communications, industry, education, agriculture, health, etc. are the examples of infrastructures. Write a paragraph on "Skilled Manpower for Development" at least in 100 words. Skilled human resources refer to an individual or a group of people having education, trainings, experience and competence who can do any specific work effectively. Human resource is the active resource of production; other resources like water, minerals, forests, etc. are the inactive resources. 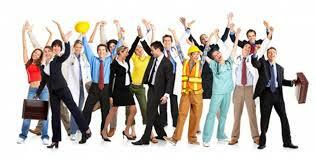 Human resources activates the other resources and fulfills the need of human beings i.e. development of a nation. It is very difficult to carry out the development activities in the absence of skilled manpower. Skilled manpower like teachers, professors, administration, doctors, engineers, etc. are needed in their respective sectors to fulfill the various needs of the country and its development. It is very important and essential to produce skilled manpower to work in various sectors of development so that the country gets developed in every sector in a proper and balanced way. Differentiate between natural resources and human resources in four points. The resources which are available in nature are called natural resources. The human power with socially produced capacity is known as human resource. They are available free of cost in the environment. They are payable when consumed. These are divided into renewable, non-renewable and perpetual. They are divided into skilled, semi- skilled and unskilled. Soil, mountain, forest, wind, water, minerals, etc. are the examples of natural resources. Doctor, engineer, teacher, cobbler, barber, sweeper, etc. are the examples of human resources. People do different works for livelihood. They can be divided into four following groups. Producing raw materials for subsistence or selling. Make things by using available raw materials. Provide services to other people. Specialists provide help to other groups. Compare the economic activities of the people of your community with the above given facts. Many kinds of works are given in the above boxes. The people of my community perform various types of works. Like the people given in the above lines, the people of my community work in agriculture. They collect different thing from the forest and extract out minerals. But they do not fish like the people given in the box. The people of my community build houses, produce goods from factories and prepare handloom clothes. However, they do not process goods. Some shops, medical farms, teaching institutions, means of transport, hotel and service centers are also run by the people of my community. Similarly, they work in research, computer programming and discovery. The life standard measurement survey 2060/61 has shown that the absolute poverty in Nepal has decreased to 31% from 38%. Why has poverty decreased? Give reasons. The Nepali people have got employment within and outside the country. Hence, they have earned more means of living than earlier. A new technology has been appeared in agriculture. So, agriculture has given higher production. The status of women has been increasing. They have become able to contribute more than earlier. Many projects and programmes have been launched to minimize poverty. Some of them have got success to achieve goal. Our country has been making use of foreign loan and subsidies. Therefore, the available means and resources have been appropriately used and the gross domestic product has been increased. In mountain region of Nepal, there are no any industries, men are unemployed and economic condition is very poor. Give suggestion in one sentence to uplift their economic condition. The unemployed and poor people of hilly region of Nepal should be given opportunity of vocational training to get some skill to generate income through it. There may be enough skilled manpower in your sector. Among them discuss any two occupations and contribution for the development of the country. Teachers: There is enough skilled manpower in my sectors; among them teachers are the one. In my sector, there are many teachers. All of them are degree holders. As they are from education background, they are trained. Further they have got much casual training. The students produced by them are successfully working in many fields. It can be said that their output is the backbone of the country. Engineers: Four engineers are nationally popular. Among them one is a hydrologist. He has propounded many things. His matchless help in generating hydropower is praiseworthy. Another one is a civil engineer. His contribution during the survey of Banepa-Bardibas-highway is nationality remarkable. Rests two are electronic engineers. They have collectively, offered a lot of help for the development of the country. "Developing countries should spend a large amount in education development." Conduct a debate between the groups of students supporting and opposing this statement. Today I'm speaking on the motion 'Developing countries should spend a large amount in education Development.' Education is knowledge and power. It brings out the innate potentiality of human beings. Unless education is developed and the people remain uneducated, all the aspects of development will not be developed and they will be worse. So, education is important for developing countries like Nepal. The resources and means will be property utilized, only when the percentage of educated manpower increases. The development of a country will be possible through the utilization of natural resources. The main objective of developing countries should be natural development. Without making people educated, the resources and means cannot be identified, expored and utilized. General and technical manpower is needed for national development. If such manpower is available in the country, then we cannot even assume development. So, developing countries should spend a large amount in education development. In this debate competition, I'm speaking against the motion 'Developing countries should spend a large amount in education development'. With more investment in education, developing countries cannot develop the nation. A country should spend equally on transportation, drinking water and communication as well. How can a country be developed without developing these sectors? The friend speaking on the motion said that the country can be developed if a country has enough manpower. But I don't agree with this. What does educated manpower does if the people are sick, if there are no hospitals for treatment, no good roads to take patients to hospital and means to communicate with the people. So, there should be equal investment in education, health, and transportation and communication sectors. Nepalese skilled manpower are draining out to foreign countries. Write a letter to your friend stating he had better work in his own country learning skillful training instead of going abroad. From your letter, I came to know that you aren't much fine. I wish for your good health and happiness. I know that you must have been busy with hard labor and toil for the sake of your future and your family members. I must appreciate you for your high sense of responsibility. I would like to write you for the same. Obviously, our country hasn't made such atmosphere for the employment scope and opportunities in the country. Before few years, the condition was even horrible. Many people used to drain out for the search of employment in the Arabian countries which is still on the progress. But you know that now the CTEVT (Council of Technical Education and Vocational Training) has started its vocational training centres in various parts of the country and one can have these trainings. Other private sectors and technical training institutes has been established and one really learns more. A good sum of remittance is contributed to a country because of foreign employment but the skilled manpower is needed for one's own country, too. We have to work so much under our initiatives. The money invested for going outside can be invested here. Here we can have so many opportunities. I hope my suggestions will be taken positively. I look forward to listening from you soon. why our country is not utilising the exsisting human resource? Which one of them is an example of unskilled manpower? What do you mean by means and resources? The basic requirement needed to fulfill people's desire. The basic requirement needed to develop the infrastructures. 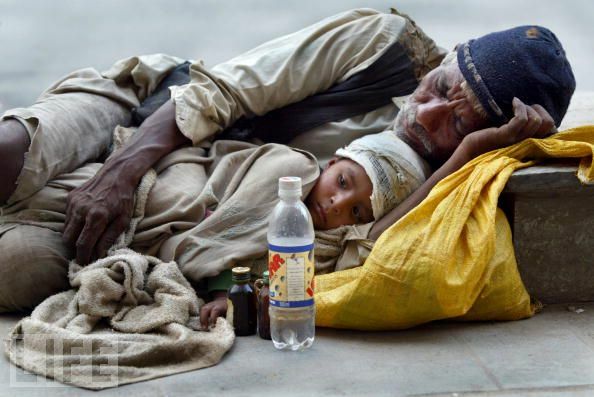 Why is poverty decreasing in Nepal? Different donor countries has been running various poverty eradicating program. Many people of remote areas are going overseas and they are sending lots of remittance. Literacy rate and skilled human power of Nepal is increasing. Why skilled human power produced in Nepal are leaving for foreign countries? Lack of employment opportunity and less salary. what is the importance of skilled human power? why its necessity is felt in the country? can you please explain the importance of skilled human resources in federalism? Any Questions on 'Skilled Human Resources '?